Dan Slott and Stefano Caselli, racing to catch up with the schedule before the point-one issue comes out next week. Relatedly: Kelly Sue DeConnick and Emma Rios' crisp, cruel Osborn miniseries hits #3 this week, and we also get the first issue of the Power Man and Iron Fist miniseries by Fred Van Lente and Wellinton Alves that was kinda-sorta teased in the previous two issues of Amazing. The remarkable Dustin Nguyen starts his run on this series (although he's still doing the last few issues of Streets of Gotham, it looks like), written by Bryan Q. Miller. Klarion the Witch Boy guest-stars. Wouldn't have figured he'd be the one of the Seven Soldiers (besides Zatanna) who'd keep turning up in non-Grant Morrison writers' comics, but I'm not complaining. In further post-Morrison Bat-franchise action, the fifth issue of Paul Cornell and Jimmy Broxton's Knight and Squire miniseries is out this week too. 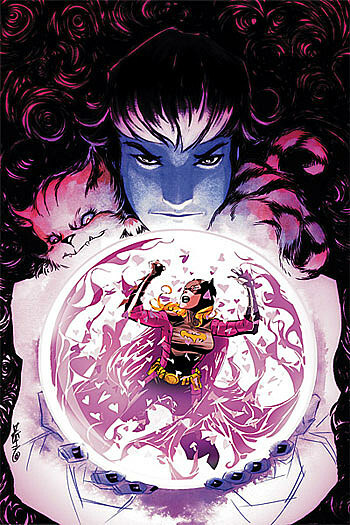 The color-enhanced version of the second Casanova storyline, by Matt Fraction and FÃ¡bio Moon, rolls on. A second miniseries go-round for this Chris Roberson/Shawn McManus spinoff of Fables with Cinderella as a secret agent type. I liked the first one! Supposedly, this issue includes a Bill Sienkiewicz-drawn backup, which I will believe when I see it--Sienkiewicz seems to be batting about .400 on actually drawing stuff he's solicited to draw these days. 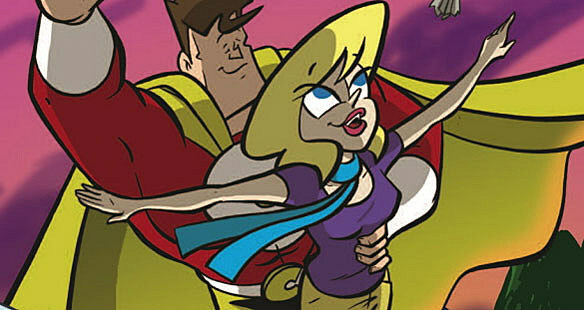 Thom Zahler's stylish superhero rom-com comes to IDW for a five-issue miniseries. Brian Michael Bendis writes this issue; Mike Deodato Jr. and Howard Chaykin draw while Stuart Immonen is apparently working on Fear Itself (speaking of which, this week also sees DC Comics Presents: Green Lantern: Fear Itself, a budget-ine reprint of a 1999 graphic novel by Ron Marz and Brad Parker; you can file it next to Identity Disc, perhaps). I would not mind at all if this series took a cue from its last couple of issues and became the Jessica-and-Luke show, with maybe a non-talking-heads scene once or twice a year. Also this week in Avengers action: Marvel Adventures Super Heroes #11, which involves passenger pigeons. Rick Wright and Rian Hughes' newspaper strip, collected. 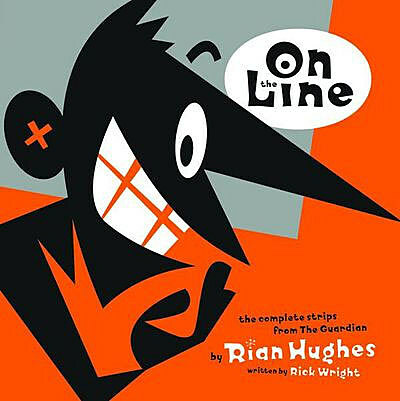 I know nothing else about this book, but the magic words "Rian Hughes" are enough to make me sit up and take notice. Separated at birth: the covers of this book and Gene Deitch's "The Cat on a Hot Thin Groove"? 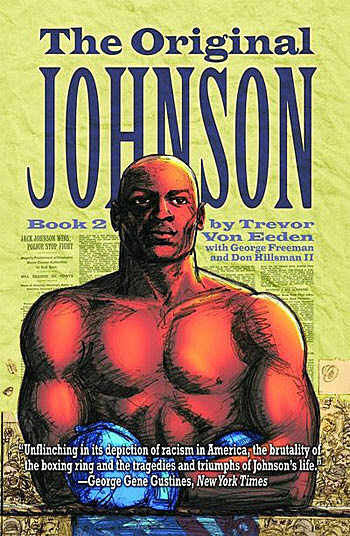 Trevor Von Eeden's Jack Johnson biography concludes, after what I gather was a very long and difficult gestation. Von Eeden, incidentally, probably has the highest quality-of-work to quality-of-web-site ratio of any cartoonist I can think of. George PÃ©rez-watchers, note that he draws an interlude in this issue of the Nick Spencer/Cafu-and-Bit series.